In every business, setting your goals is the very first and most crucial step in order to be successful. Your goals set the foundation for moving forward. In this S.M.A.R.T Marketing workshop, Marketing Strategist Lisa Love will take you through the process of developing S.M.A.R.T goals. Lisa will talk through examples, the process and how it should be applied to all areas of your business including social media and any type of design work. 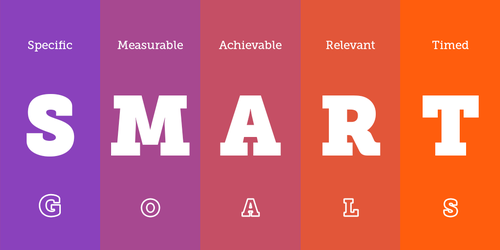 By the end of the workshop, you will have developed S.M.A.R.T goals for your business. Lisa Love is a Marketing Strategist who began her career 20 years ago working for Fortune 500 CPG (consumer packaged goods) companies, including Heinz and Del Monte in brand and product marketing. She managed a portfolio of brands which generated revenue of up to $75M. Lisa also spent 11 years working for the #1 online retailer of wine where she wore many hats and worked in various departments throughout her tenure including operations, merchandising and partnerships. She began consulting five years ago and has helped numerous businesses and non-profit organizations accomplish their goals. Lisa is passionate about helping startups and small businesses succeed. Lisa Love holds an MBA in Marketing from Clark Atlanta University. Follow her marketing tips on Instagram at @lisalovesmarketing.